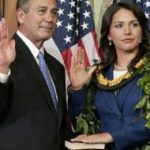 When Tulsi Gabbard, a Hawaii resident who made history this month as the first Hindu elected to Congress, attends her swearing in ceremony in January, she's poised to mark another first in American politics: Gabbard will take her oath over the Bhagavad Gita, a sacred Hindu text. While no religious ceremony is legally required for those elected to Congress and the Senate, many choose to take oaths of office over Christian and Jewish texts, and Minnesota Rep. Keith Ellison, a Muslim, took his oath over a Quran. 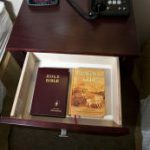 But Gabbard's use of a non-Abrahamic text will be unique and is symbolic of the growing religious diversity of Congress. “For the Hindu Americans it is a historic moment … It is a matter of pride that finally someone not only from our own faith, but someone who is a practicing Hindu, will be sworn in the Congress on one of our most sacred books," said Anju Bhargava, founder of Hindu American Seva Charities and a former member of the White House's Council on Faith-Based and Neighborhood Partnerships. "It is my hope is that this swearing in will be another learning opportunity for our country about Hindus and Gita. 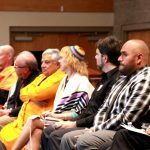 Another step towards bringing the knowledge and values of Gita even more prominently to the American political landscape so that it becomes part of the everyday vocabulary in applying the moral principles in our political arena," said Bhargava, whose organization works to promote Hindu participation in civic life. 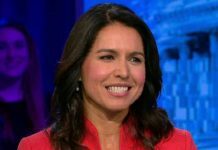 The Bhagavad Gita, which is often referred to as the Gita, is one of several Hindu texts, but Gabbard has said it's her primary sacred text. It is comprised of 700 verses and 18 chapters of the famed Mahabharata epic and is told in the form of a dialogue between Arjuna, a warrior-prince, and Krishna (God), in which they discuss his role and philosophical concepts in the Sanatana Dharma (Universal Order), which is popularly known as Hinduism. In interviews, Gabbard has pointed to two verses of the Gita as being particularly important to her. 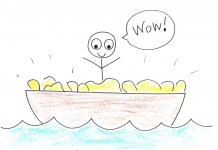 Both are from chapter two, which is called "Sankhya yoga," and which discusses the soul. 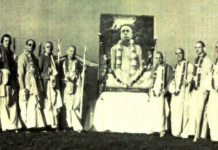 The chapter is often seen as a summary of the Gita's spiritual instruction. Gabbard's first favorite part, from verse 17, defines the soul as "that which pervades the entire body you should know to be indestructible. No one is able to destroy that imperishable soul." The other, from verse 23, expands on the idea: "The soul can never be cut into pieces by any weapon, nor can he be burned by fire, nor moistened by water, nor withered by the wind." Although there are other older Hindu scriptures, such as the Vedas, the Gita is seen as representing "essence of all Vedas," said Siva Subramanian, a Washington, D.C.-area resident and member of the Council on Hindu Temples of the USA. "It is also important for the USA that it will eventually have the representation from all the religions, and Tulsi taking the oath on the Gita is another step in that direction," Subramanian said. Gabbard, 31, was born in American Samoa and raised by a Catholic father and a Hindu mother. She moved to Hawaii when she was two years old and joined the Hawaii state legislature in 2002 at age 21. She served in the Hawaii National Guard the next year and, in 2004, went to Baghdad to be a medical operations specialist. In 2008, she was deployed to Kuwait to work with the nation's counterterrorism trainees. 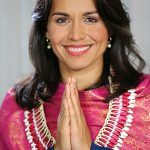 Gabbard could not be reached for comment by The Huffington Post prior to publication, but in a statement released after her victory, she expressed hope that her election would help encourage other Hindu-Americans to proudly embrace their religion. "On my last trip to the mainland, I met a man who told me that his teenage daughter felt embarrassed about her faith, but after meeting me, she's no longer feeling that way," said Gabbard, who will represent Hawaii's 2nd Congressional District. 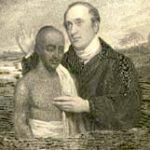 "He was so happy that my being elected to Congress would give hope to hundreds and thousands of young Hindus in America, that they can be open about their faith."